It's NPD results time for US video game sales, and though the numbers are often debated due to their focus on physical retail, they nevertheless provide some useful data to gauge Nintendo's performance in such an important market. Nintendo has taken the opportunity to rush out of the gate to reveal its September highlights, which is a sure sign that it has some positive things to say. First of all, the 3DS has been the top-selling video games system in the US for the fifth successive month, which is an impressive feat. It's also worth noting that these results do not account for any Pokémon X & Y or 2DS sales, which won't be revealed until next month; September was a reasonably quiet month for the 3DS in terms of major software releases, yet the hardware has clearly performed well. In terms of the Wii U, these results did account for around two week's worth of sales at the reduced price point of $299 for the 32GB model, as well as the early arrival of The Legend of Zelda: The Wind Waker HD's hardware bundle and download version. Nintendo reports that Wii U hardware sales increased by more than 200% over the August results; no firm numbers have been given. Regardless of figures, it's a positive trend ahead of more high profile releases in the coming weeks and Holiday months. The October results — due in mid-November — could be a major success story for the 3DS, while the Wii U will account for the physical retail release of The Wind Waker HD, with late month sales of Wii Party U and Sonic Lost World potentially boosting sales further. Let us know what you think of these results in the comments below. 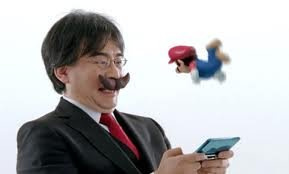 May the 3DS continue to reign supreme, and may the Wii U's fortunes keep the upward trend. Good job 3ds as usual. As for WiiU, the price cut and wind waker bundle is an awesome touch and the upcoming games on the way like sonic lost world, the mario games and X outta pump things up even further ending this drought. You nintendo should already know what to do next to increase the WiiU sales. You will all pay homage to our 3DS overlords! Wii U is a gaming machine, not an overpriced spy camera. Gamers will figure that out eventually. @Matts14 If this trend continues then in a very short amount of time there will be more Wii U's than people in the world. @mariobro4 I've seen estimates from 60K up to over 100K. Good to see the 3DS still maintaining momentum and the Wii U sales increasing. Hopefully these trends will continue a long ways down the road. Nintendo need to hurry up and make universal accounts for 3DS and Wii U, and implement a cross-buy eShop scheme, which would entice the 3DS crowd to buy a Wii U. 200% increase should put Wii U numbers at around 90k which is not great, but it's not a disaster either, and Mario is still to come which I think will encourage more people than the price drop and a Zelda remake combined. Top selling console this Christmas is still a real possibility despite the awful year. I know, it saddens me. I really liked the W101, so why aren't Wii U owners playing it goddamit! @Peach64 That's rather sad. Poor Platinum. Wonderful 101 is such a good game too. On the other hand, we all know the top selling system this holiday will be the 3DS. EDIT: 90k in one month for Wii U in NA just shows how big the 3DS is in Japan. The 3DS has been selling over 100k every WEEK since Monster Hunter 4 was released, and it sold over 200k last week thanks to Pokemon X/Y. To put that in perspective, the 3DS sold over 400,000 units in Japan in one month assuming it sold 100k each week. Add in the extra 10 thousands that I excluded and the number is closer to, if not more than 500,000. Half a million in one month in just Japan is damn impressive. With roughly 100k sold in the week before X/Y, and 200k the week X/Y were released, the 3DS will sell even more this month in Japan. Yeah, the only thing that can stop the 3DS in Japan at this point would be the country's population. Hmm feel guilty about wonderful 101,but it just doesnt interest me at all, an i didnt enjoy the demo either tbh, on a different note i want sonic! really hoping that game turns out well it looks great! INB4 PachterKid's latest snobby rant on Wii U. @Peach64 it's a bummer about the 101 not doing well. I really enjoy the game, however playing it, I can see how it's not everyone's cup of tea. Low buy in is why a lot of developers don't take as many chances in unique games/IPs anymore (and why we get stuck with 5,369 different types of FPSes). It's sad, really. I don't recall the Aug # but it should have been up a little from July due to Pikmin 3. So having Sept go up is a trend. And considering Aug is summer vacation time and Sept is back to school, neither of which are big console buying months, it's a good trend to be on going into the holiday season. W101 sold poorly b/c it's a new IP - see Puppeteer sales on the PS3. And it looks more like an action packed PS3 type game than your typical Nintendo 2D sidescroller. It's a game w/o an audience on a system w/ a low install base. I still want to play it, but I never expected it to sell at all. @darthmawl No, no, no... You're doing a MUCH better job as a consumer. If they hired you, you'd be able to buy their products for less with an employee discount. That would do them less good, so keep buying! Kidding, this is great news, hopefully it continues! Interesting. What say you mr Iwata? Every sale means a larger customer base. With a month left of the 1st year Nintendo looks to be on par with sales from last gen Sony & Microsoft....yes Nintendo has struggled but if SMB3D can get a huge push then Wii U may end up matching Wii when this is all said and done. And it begins. Chirstmas will be huge for Nintendo. Such a shame about Wonderful 101. Its by far the most original/fun game the Wii U has. I recommend it to everyone I know that has a Wii U. Seems to be following the usual Platinum games scenario, great games that don't sell. The article says "no numbers have been given" and that they won't come until next month. So are the numbers on VGChartz lies, or what? Because those get updated every week. Good Nintendo. Now, keep the momentum going. @Peach64 I honestly think the playable demo of The Wonderful 101 put a lot of people off. I bought it (without trying the demo first) but I've not enjoyed it as much as other Platinum games, and at least a couple of other people on another forum I go on stated that they actually cancelled their preorders after the demo. It's a game I want to love, but I just can't for some reason. @ ToxieDogg I'm in that camp. I was really looking forward to this game, but the demo turned me off. couldn't get in to. I'll definitely give it another go after I've cleared some of the backlog, but the demo pushed it way down the list. Funny that you compare those two games, as I actually bought them together. Besides being new IPs they are kinda strangers to the target audience of their respective systems. And both are really great, creative and interesting games. I beat W101 but I still need to beat the Puppeteer. I hope the Wii U fares better as soon as our friend the plumber gets released. The numbers for 3DS are just gonna go through the roof. And to think the vast majority counted the system as doomed a mere couple years ago. Now it looks like the Wii U's turn, and things are starting to get better as we speak for the handheld's big brother. I honestly don't see how the PS4 and Xbox launches will effect the Wii U. Keep in mind that most of the sales until January will be gamers who have already made the decision to buy those systems. @sinalefa - I beat Puppeteer last week, but in return Gamefly sent me my #10 Tank Tank Tank instead of my #1 W101. I think it's karma for renting rather than buying. Speaking of karma, I bought my Wii U the day after the W101 demo came out, and the Wii U hasn't had a new demo since, over 2 months ago. Maybe if I trade-in my Wii U the rest of you can get a new demo. @theworldgamer Agreed. The Wii U hasn't peaked yet and it's only the first year it's been born to this world. Those Wii U haters are going to be under huge remorse now. Not too surprising news for the 3DS, though still impressive it's done this well in the non-holiday period. With XY sure to be filling Christmas stockings, it's in the frontrunning to be the best seller this console season. Nice to see the WiiU experiencing a slight upward trend when the heavy hitters are still come, the holiday season is looking more promising for it. @ledreppe For me personally i just didnt like the hectic nature of the game with the far back camera. But il be picking up bayonetta for sure. @ToxieDogg I'm with you. I play it and (when I'm not utterly confused what the game wants me to do and why it doesn't like what I'm doing) I enjoy myself, but I don't feel compelled to play it much. It feels almost like a chore to play sometimes. I know some people really love it and I'm not trying to rip it in half or anything, but I totally get why it hasn't sold so well. Platinum needs to keep up everything they're doing, just make their games easier to play. The Demo of Wonderful 101 is a bad example of the game, If their is anyone on the fence about Wonderful 101 the actual game is fantastic with brutal Ai that makes you quick on your feet. Wonderful 101 is my favorite game on the Wii U at the moment. And Mario 3D is coming... and it's super effective! Let me say first of all that ive pre ordered the ps4 and aim to get the xbone at some point too,ps4 looks amazing and xbone has halo so thats a no brainer to me. HOWEVER, as I stated long ago,this xmas the wiiu will take up most of my attention due to alot of incredible game releases. Coupled with the fact most people who preordered the ps4/xbone,did so for watchdogs or driveclub,both of which have been delayed till 2014(note that the driveclub delay is just a heavy rumour at time of writing) and ofcourse the wiiu price drop. All of this can only spell great news for the wiiu and I have many friends who are slowing converting to the wiiu,because of all the above mentioned. Up and down and up and down and up and down and....you get the idea. As a console, I love the Wii U. It's a great little system with a lot of fantastic features. Just really wish that when I tried to talk it up to my friends and family that I had an impressive software library to fall back on. "I genuinely consider it one of the best consoles ever made... but it doesn't have any games," is still a tough sell. I suppose that will come in time though. The horizon looks promising. I'm glad both systems are doing great, hopefully Nintendo could keep this up after the Xbone and PS4 launch. Great sales for 3DS in September. 2DS and Pokémon should give the system another good increase in October. I got it two days ago, and I love it. I'm glad I waited - price is lower and there is more games now. I'm not buying X1 at all. I will buy PS4 maybe this time next year. I own a VITA but WII U gamepad is WAAAAY more comfortable and has a bigger screen. Very good machine! I'm sure WII U will sell amazingly well when NINTENDO launches more quality games. This is gonna be the same as with 3DS...first it was a disaster now it is the best selling console of all time. Nintendo knows what to do! Figures. Needs actual figures. Otherwise it looks like you're hiding something. Its great to see the Wii U sales rise but in other news, the PS3 outsales Xbox360 in its home country US. The PSVita sales also rise, maybe because we are coming towards Xmas? or it might mean everything is on the rise. Around 90K Wii U world sales = 60K PSVita sales japan only. This (though I'd put Rayman Legends over TW101 if only by a little). @TheLilK98 We need a gif to show the 3ds printing money directly into the WiiU, only to then have it shredded. @electrolite77 i agree. 200% from 10 is only 30. they are worried because nintendo thought they were as good as apple at ripping people off when they added no memory and the extra premium price. now the PS4 is here soon and a price of only $100 higher, there is no way nintendo can compare. the wii u is NOT the wii so don't expect grandpa to buy a bunch of em this year. @jorgem696 Disagree. No one game will "save" the Wii U. Its going to be its full library that saves it... Every AAA game Nintendo puts out, more people buy the console and every year or two the price comes down and brings in even more people.... its the strategies of price cuts with major software releases that increase the value proposition of the Wii U... as the perceived value goes up, the more systems will move off the shelves. @GN004Nadleeh Whatever Wii u does - it works well for me. 3 hours battery doesn't bother me as you can get it plugged in all the time. I love SONY and NINTENDO in the same way, therefore I'll be playing on both. Batman Arkham Origins, ACIV and Watch Dogs will definatelly buy on Wii U to give it some support. I'm looking forward to more N games though. @Peach64 I don't think W101 flopped. It did 50k worldwide so far, and the console is going to be on the market for a very long time. Nintendo publishes games as evergreen, meaning they will sell over the long haul... Yes most platform holders and 3rd party publishers only count the first 8 weeks of a titles launch as the performance of a title.. NIntendo doesn't draw conclusions to the numbers until the games' first price drop, which can be anywhere between 3 and 6 years. I wish Wonderful 101 did better.. I have logged over 100 hours into it and I'm still getting tons of enjoyment out of it.... I still haven't beaten Wind Waker HD yet because I keep gravitating towards playing Wonderful 101 when I get home from work. "then Wii U may end up matching Wii when this is all said and done." @Gerbwmu Never going to happen... and I say that as a mostly Nintendo/PC gamer.... I love my Wii U and think its by far the best idea out of Nintendo yet, but I don't think it will have the mass appeal the Wii did. @cookiex Really? I thought Rayman Legends was pretty mediocre.... Felt like I was playing an indie game more than a AAA game.... Wonderful 101 did something new that no other game has tried before, it gets major brownie points for being the most unique title I have played in over 10 years..... helps that the game is ridiciously fun to try and platinum medal everything. "Wii U may end up matching Wii when this is all said and done." Not a snowballs chance in a hot place. It will do well to match Gamecube numbers and turn a profit, allowing Nintendo a good platform to launch their next console. Anything above that is a bonus. P.S. Of course if it ends up with a games catalogue as good as the 'Cube, that's a real bonus! @element187 - Number wise I agree.....I don't think any of the 3 consoles will out sell their predecessor....I was thinking more along The lines of selling more units then Xbox1 or PS4. Not that it really matters. Awesome NINTENDO! Can't wait for The Legend Of Zelda: A Link Between World's!!!!!! As someone who bought the 3DS in 2011 when it was still getting a lot of trash talk thrown at it, it is really satisfying to see it dominating the charts as much as it is now. I am a proud Wii U and 3ds owner, news keeps getting better. I know the difference between a console & a handheld, these two numbers around 90K Wii U - 60K from one region japan PSVita. Where both released around the same time have a look on the internet yourself, and seeing as nearly everyone on this website always say "at least the Wii U is doing better than the Vita" which its not plus ones a console andthe others a handheld like you pointed out, so i used your lot logic. @BossBattles hahahaha, it's funny because its true.